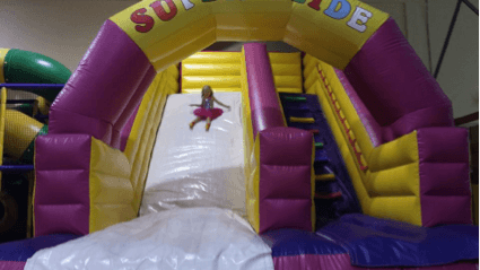 I recently took my 2 and 4 year olds to Inflatable World in Ballajura. 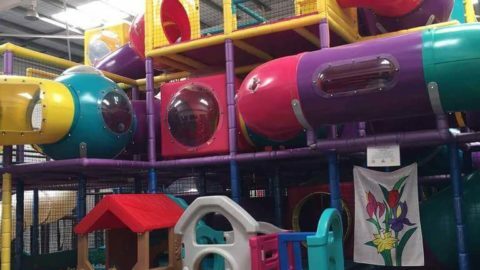 Inflatable World is exactly as the name suggests and is a giant play centre entirely made up of inflatables. 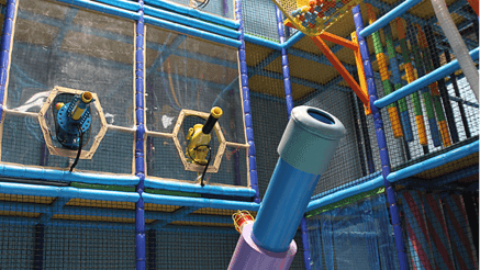 There were 3 distinct sections – an under 5’s area, a medium range section and a section for the daredevil. 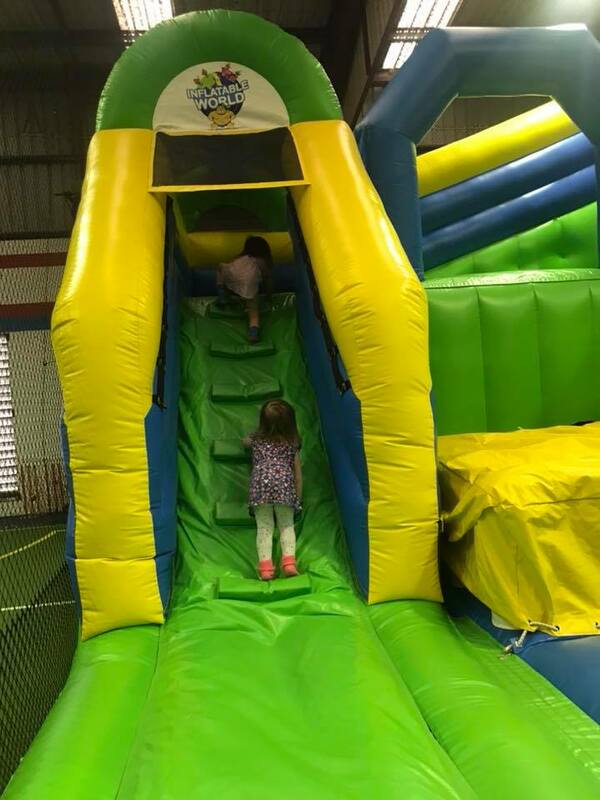 We started in the under 5’s section which had 3 great inflatables. 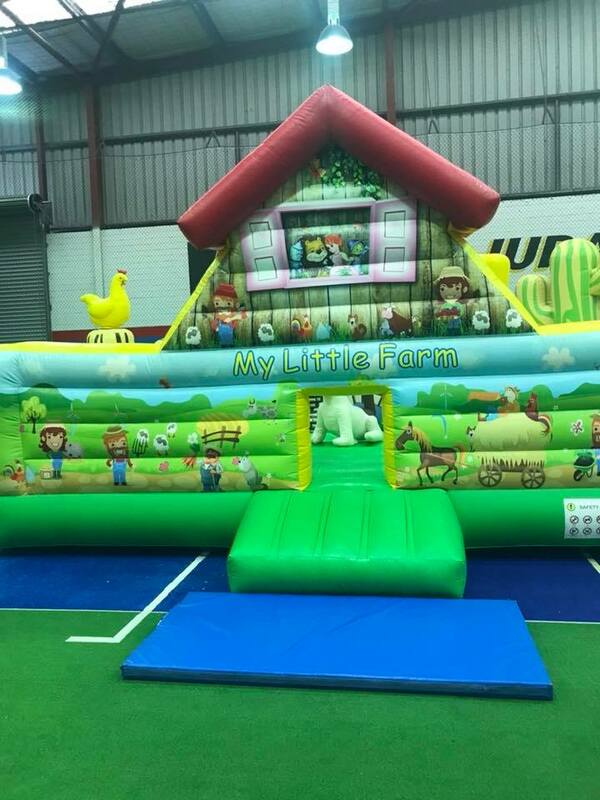 The first was a farm themed bouncy castle, the second was a bouncy castle with a slide and the third was a tunnel with inflatable paddle pillars to dodge and run through with a larger slide at the end. 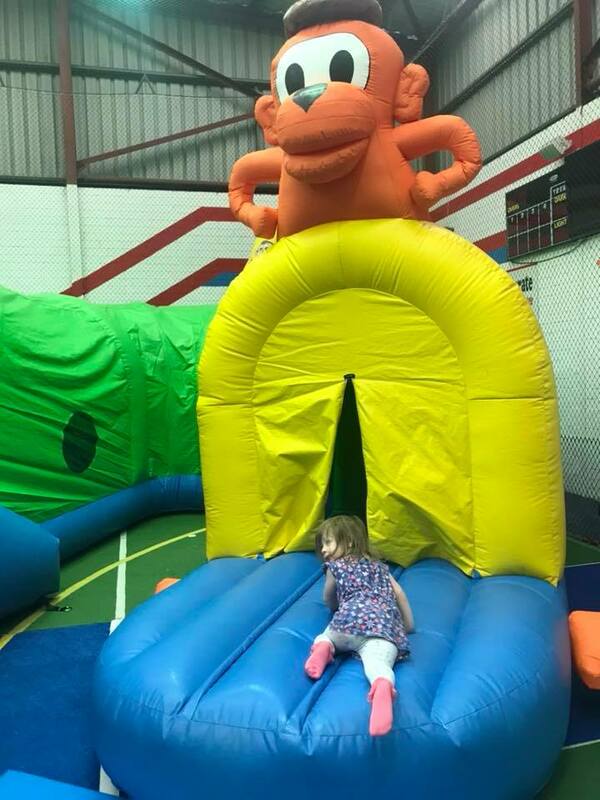 The girls had a great time running around in this section but it didn’t take too long before miss 4 wanted to explore some of the bigger inflatables. 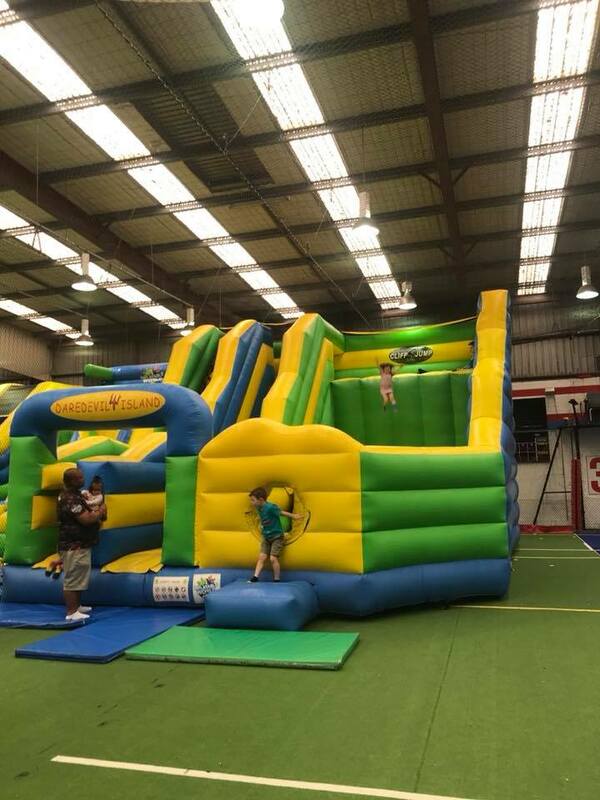 Miss 4 surprised me by testing out each and every inflatable, with her favourite being the daredevil island and doing the big cliff jumps over and over! 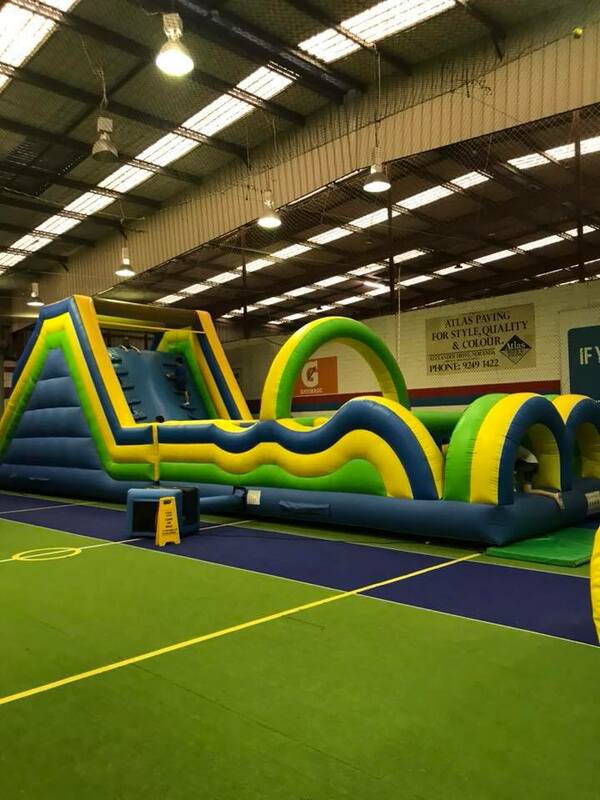 Miss 2 attempted some of the bigger inflatables but she was much happier in the under 5’s section. There are plenty of tables chairs in a dining/ spectator area with a kiosk selling hot chips, burgers, sausage rolls and drinks. You can also bring along your own food which is great for helping keep the cost down! We bought some of our own snacks but I also purchased some hot chips and a coffee. The coffee was from a machine similar to those at a service station – it wasn’t the best coffee but served its purpose. 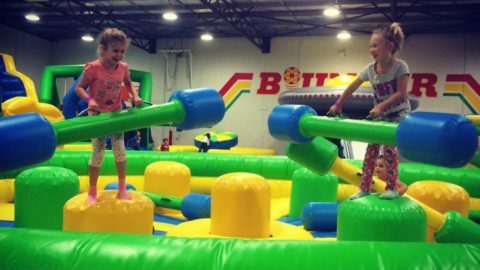 Kids aged 4 and under are $8 and over 5’s $16 for 2 hours of play. Spectators are free. 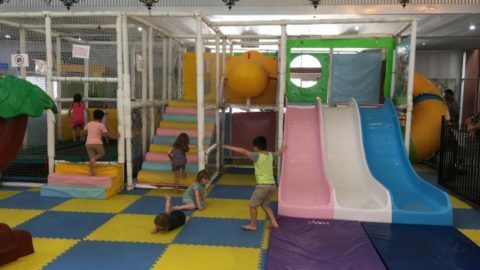 I was a spectator but able to walk around with the kids on the floor. 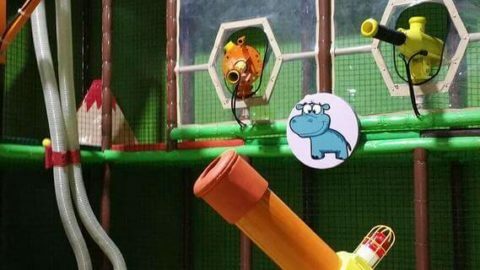 I was worried I would have to pay if entering the play area, but as long as you don’t intend to jump yourself you are free. 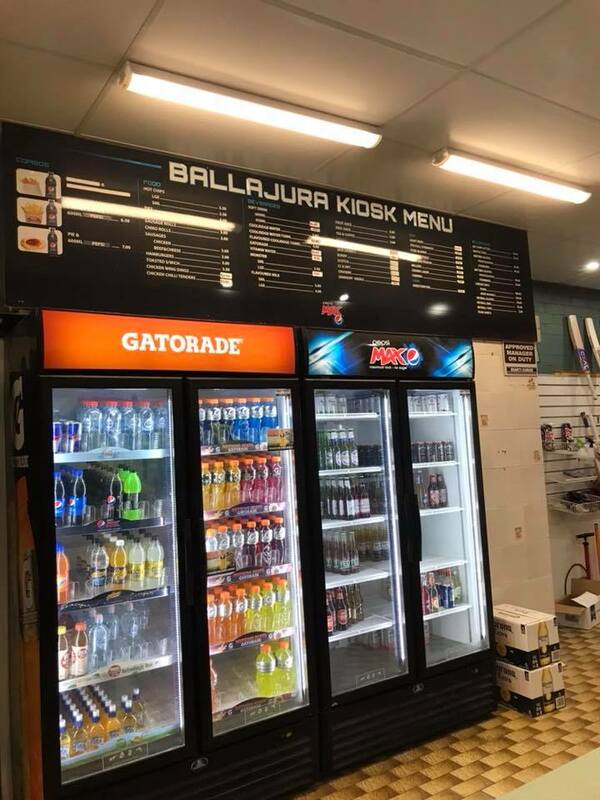 They have EFT Pos facilities and there’s an ATM on site. After the 2 hours, we were exhausted! 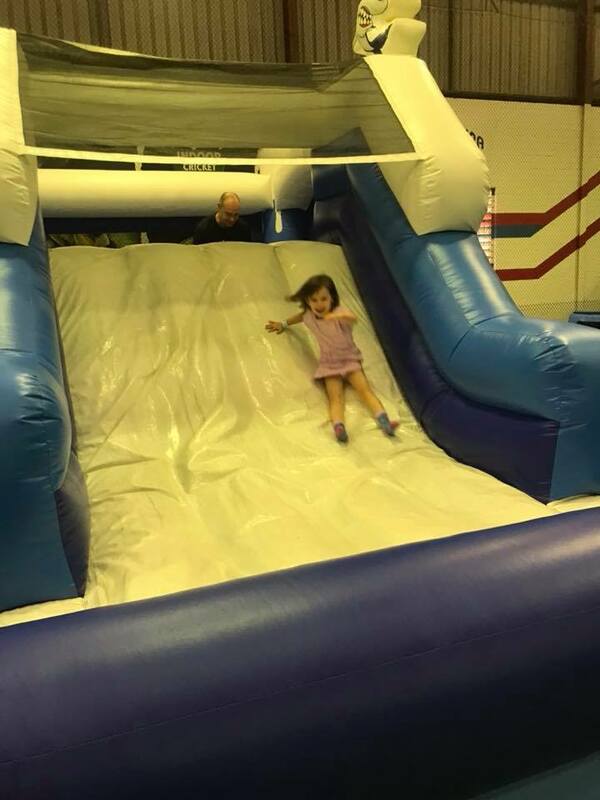 We had such a fun time at Inflatable World! 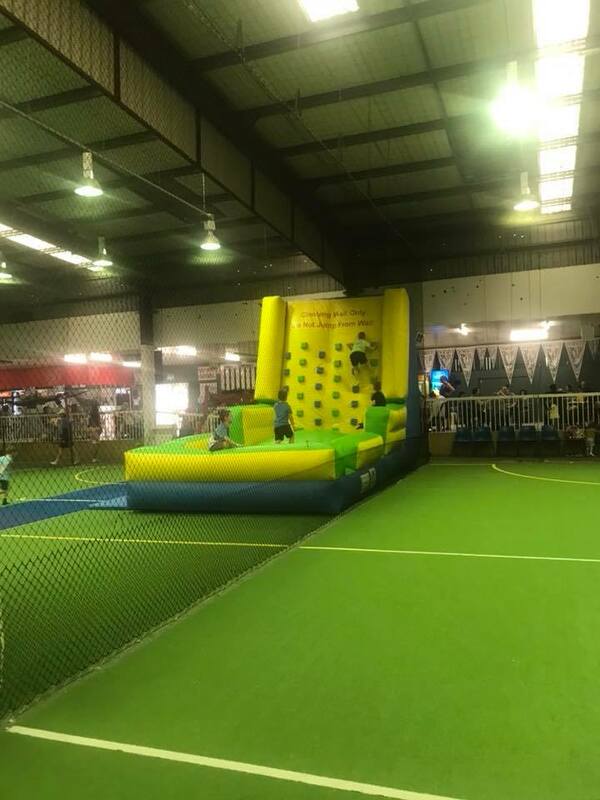 The kids hardly stopped moving for 2 hours and they really got to test their abilities. 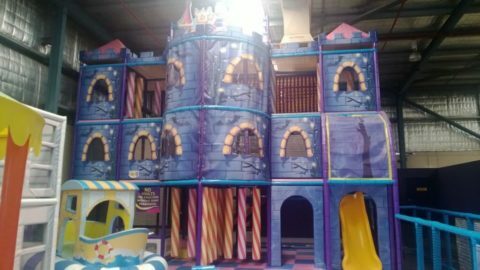 They also offer birthday parties packages and can do private bookings. 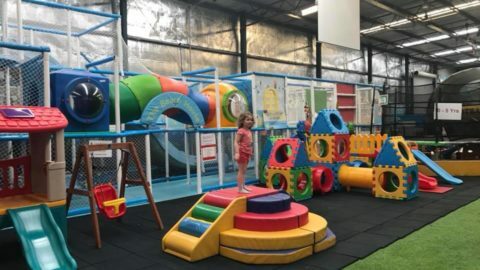 Located at the cnr of Oxleigh Drive and Townsend Street, Malaga and is open on Saturdays from 10am – 5pm during school term and additionally Monday to Friday 10am – 3pm during school holidays.